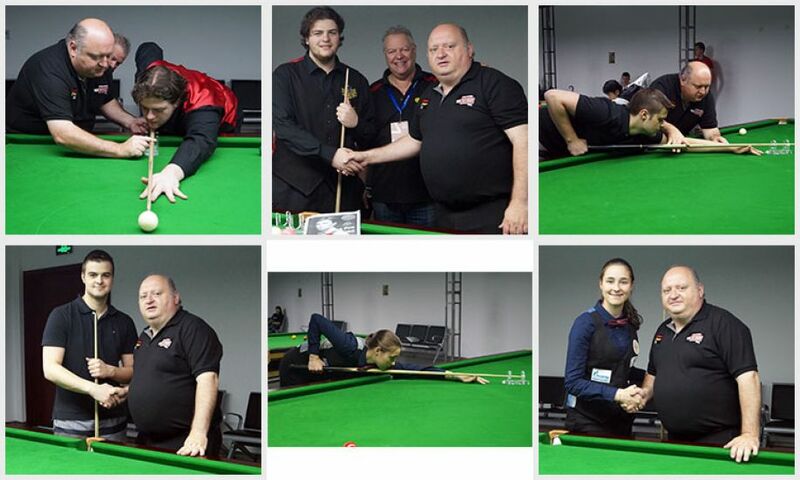 The fourth IBSF Cue Zone was held this morning on the 8th of July at the 2018 IBSF World Under 21 Snooker Championships in the Qilu University of Technology Changqing Campus in Jinan, China with players from Australia, Russia and Austria. The Cue Zones have been organised by The International Billiards & Snooker Federation to promote the game and help the players improve their games. Jim Leacy IBSF Vice Chairman said the IBSF hope to make the Cue Zones a regular activity at all IBSF Championships in the future. This week from the 5th – 10th of July the IBSF European Head Coach PJ Nolan from Ireland is conducting free cue zones each morning from 10am – 1pm. The cue zone schedule for players to sign up for a session is on the door of the practice room and it is all free of charge with the compliments of the IBSF. Polina Astakhova from Russia attended. PJ worked on their Break Building, Developing good fundamentals in their Techniques. All the players really impressed PJ with their commitment and the players said they really enjoyed their lesson with PJ.